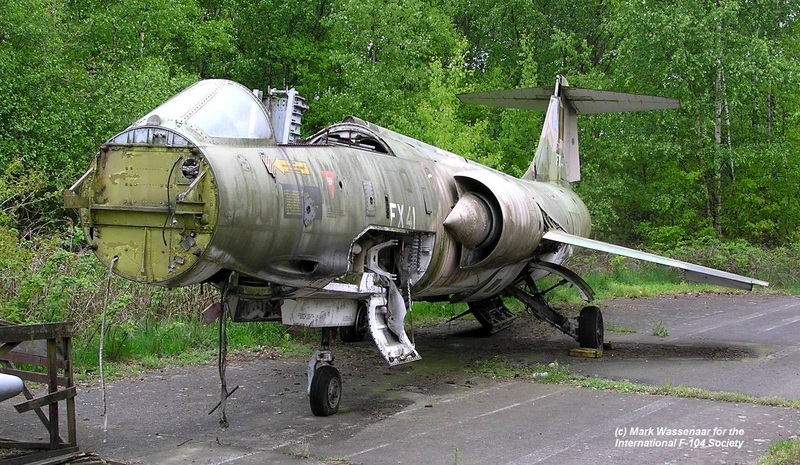 The F-104G FX41 could be found in a very poor shape at Kleine Brogel for many years. Recently the Base Museum team has stripped and cut the aircraft. The nose section (forward part) has been cut off and will be used to act as a flight simulator. The wings have been removed and mounted on the FX61 also at Kleine Brogel and the wheeldoors will go the this F-104G as well. The aft hatch has become a "table'. Most of the rest of the aircraft was sold to a scrapping company. 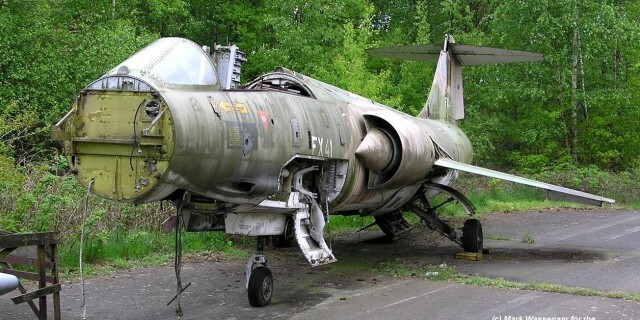 The end of one of the 2580 build F-104s in the world. (Information thanks to Martin vd Wal from the Base Museum and the photo shows the aircraft at the Air Base on 13 May 2005 taken by Mark Wassenaar). Do you maybe still have the horizontal stab of this aircraft? I am looking for a horizontal stabilizer for my F-104.